Early humans were still swinging from trees two million years ago, scientists have said, after confirming a set of contentious fossils represents a "missing link" in humanity's family tree. 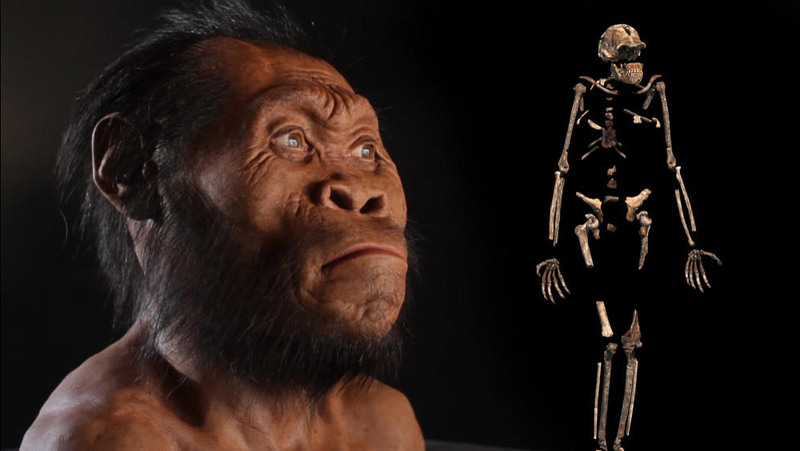 The fossils of Australopithecus sediba have fueled scientific debate since they were found at the Malapa Fossil Site in South Africa 10 years ago. 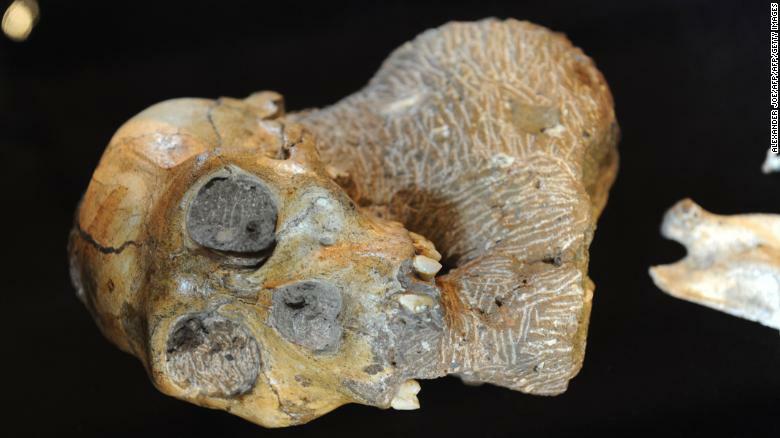 And now researchers have established that they are closely linked to the Homo genus, representing a bridging species between early humans and their predecessors, proving that early humans were still swinging from trees 2 million years ago. The Malapa site, South Africa's "Cradle of Humankind," was famously discovered by accident by nine-year-old Matthew Berger as he chased after his dog. That stroke of luck eventually led to this week's finding, detailed in the journal "Paleoanthropology." The findings help fill a gap in humankind's history, sliding in between the famous 3-million-year-old skeleton of "Lucy" and the "handy man" Homo habilis, which was found to be using tools between 1.5 and 2.1 million years ago. They show that early humans of the period "spent significant time climbing in trees, perhaps for foraging and protection from predators," according to the study in the journal "Paleoanthropology." “This larger picture sheds light on the lifeways of A. sediba and also on a major transition in hominin evolution,” said lead researcher Scott Williams of New York University. Two partial australopith skeletons -- a male and a female - were found in 2008 at a collapsed cave in Malapa, in South Africa's "Cradle of Humankind." "Australopithecus" means "southern ape," a genus of hominins which lived between around 4 and 2 million years ago. Their discovery set off years of debate in the scientific community, with some rejecting the idea that they were from a previously undiscovered species with close links to the homo genus and others floating the idea that they were from two different species altogether. But the new research has laid those suggestions to rest, and outlined "numerous features" the skeletons share with fossils from the homo genus. Australopithecus sediba's hands and feet, for instance, show it was spending a good amount of time climbing in trees. The hands have grasping capabilities, which are more advanced than those of Homo habilis, suggesting it, too, was an early tool-user. 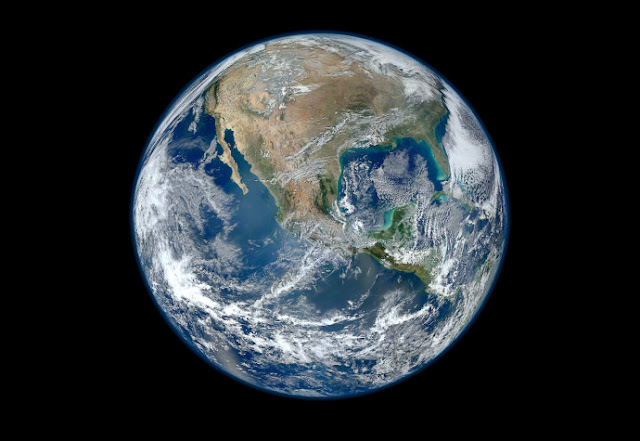 The researchers of the paper to highlight the remarkable story of how the fossils were found, pointing out that other dramatic clues to humanity's history are still waiting to see the light of day. “The first fossil of Au. Sediba was discovered by Matthew Berger, then a nine-year-old, who happened to stop and examine the rock he tripped over while following his dog Tau away from the Malapa pit,” they wrote. “Imagine for a moment that Matthew stumbled over the rock and continued following his dog without noticing the fossil. If those events had occurred instead, our science would not know about Au. sediba, but those fossils would still be there, still encased in calcified clastic sediments, still waiting to be discovered. The fortuitous discovery of the Malapa fossils and other similarly fortuitous recent finds should be reminders to us all that there is still so much to discover about our evolutionary past,” the authors concluded.